On October 30, 1935, at Wright Air Field in Dayton , Ohio , the U.S. Army Air Corps held a flight competition for airplane manufacturers vying to build its next-generation long-range bomber. It wasn’t supposed to be much of a competition. In early evaluations, the Boeing Corporation’s gleaming aluminum-alloy Model 299 had trounced the designs of Martin and Douglas. Boeing’s plane could carry five times as many bombs as the Army had requested; it could fly faster than previous bombers, and almost twice as far. A Seattle newspaperman who had glimpsed the plane called it the “flying fortress,” and the name stuck. The flight “competition,” according to the military historian Phillip Meilinger, was regarded as a mere formality. The Army planned to order at least sixty-five of the aircraft. A small crowd of Army brass and manufacturing executives watched as the Model 299 test plane taxied onto the runway. It was sleek and impressive, with a hundred-and-three-foot wingspan and four engines jutting out from the wings, rather than the usual two. The plane roared down the tarmac, lifted off smoothly and climbed sharply to three hundred feet. Then it stalled, turned on one wing and crashed in a fiery explosion. 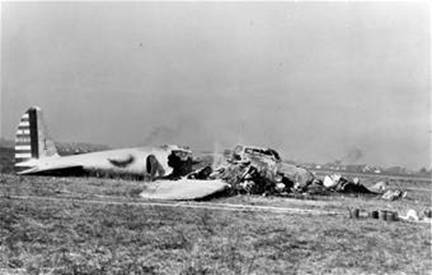 Two of the five crew members died, including the pilot, Major Ployer P. Hill (thus Hill AFB , Ogden , UT ). An investigation revealed that nothing mechanical had gone wrong. The crash had been due to “pilot error,” the report said. Substantially more complex than previous aircraft, the new plane required the pilot to attend to the four engines, a retractable landing gear, new wing flaps, electric trim tabs that needed adjustment to maintain control at different airspeeds, and constant-speed propellers whose pitch had to be regulated with hydraulic controls, among other features. While doing all this, Hill had forgotten to release a new locking mechanism on the elevator and rudder controls. The Boeing model was deemed, as a newspaper put it, “too much airplane for one man to fly.” The Army Air Corps declared Douglas ‘s smaller design the winner. Boeing nearly went bankrupt. Still, the Army purchased a few aircraft from Boeing as test planes, and some insiders remained convinced that the aircraft was flyable. So a group of test pilots got together and considered what to do. They could have required Model 299 pilots to undergo more training. But it was hard to imagine having more experience and expertise than Major Hill, who had been the U.S. Army Air Corps’ Chief of Flight Testing. Instead, they came up with an ingeniously simple approach: they created a pilot’s checklist, with step-by-step checks for takeoff, flight, landing, and taxiing. Its mere existence indicated how far aeronautics had advanced. In the early years of flight, getting an aircraft into the air might have been nerve-racking, but it was hardly complex. Using a checklist for takeoff would no more have occurred to a pilot than to a driver backing a car out of the garage… But this new plane was too complicated to be left to the memory of any pilot, however expert. With the checklist in hand, the pilots went on to fly the Model 299 a total of 18 million miles without one accident. 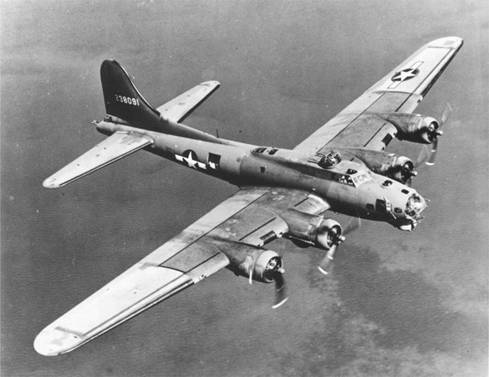 The Army ultimately ordered almost thirteen thousand of the aircraft, which it dubbed the B-17. And, because flying the behemoth was now possible, the Army gained a decisive air advantage in the Second World War which enabled its devastating bombing campaign across Nazi Germany. h/t to Rob for the info! The gratitude of every home in our island, in our Empire, and indeed throughout the world except in the abodes of the guilty goes out to the British airmen who, undaunted by odds, unweakened by their constant challenge and mortal danger, are turning the tide of world war by their prowess and their devotion. Of course, the the famous lines from Sir Winston Churchill. 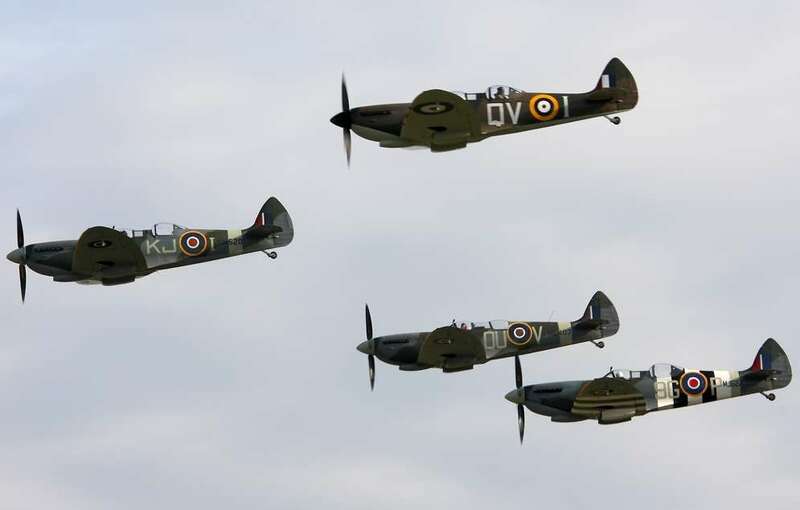 The Battle of Britain was the first major campaign to be fought entirely by air forces and it was Germany’s attempt to force Britain to negotiate a surrender. ‘The Few’ were 2,353 young men from Great Britain and 574 from overseas, both pilots and aircrew. 544 lost their lives during the the Battle, and another 791 were killed in action before the wars end. It was a major defeat for Germany and one of the turning points of the war. The Brits have sought to honor those men in this air show (Footage from PlanesTV). It’s a much different mix of planes than we normally see over here. A WSJ article opines that the age of speed is coming to a close. The Space Shuttle’s final flight in June marks the end of the quest for the next fastest thing. When the U.S. space shuttle completes its final flight, planned for June, mankind will take another step back from its top speed. Space shuttles are the fastest reusable manned vehicles ever built. Their maximum was only exceeded by single-shot moon rockets.The shuttles’ retirement follows the grounding over recent years of other ultrafast people carriers, including the supersonic Concorde and the speedier SR-71 Blackbird spy plane. With nothing ready to replace them, our species is decelerating—perhaps for the first time in history. Unmanned vehicles are another matter: The Scramjet is no slouch and could theoretically operate between Mach 12 and Mach 24. The unmanned Boeing X-51 hit speeds of Mach 6 last year. Given the prevailing penchant for UAV’s, it is doubtful that we will see occupants zooming around in one anytime soon. One of the more famous recipients of the Medal of Honor during the Vietnam conflict was Colonel George “Bud” Day. He is a man who defines the word courage with his exemplary leadership while in captivity. The Air Force Cross was actually awarded for his leadership in the Hoa Lo “Hanoi Hilton”. The Medal of Honor was for escaping and evading the enemy…until he was recaptured. He is the most decorated living serviceman with 70 awards. I gained a new respect and appreciation for Col. Day after reading American Patriot: The Life and Wars of Colonel Bud Day. What sustained him during those years of torture and confinement? The goal to Return with Honor. It’s a notion that’s in short supply these days. The idea of a commitment to something greater than oneself. I was pleased to see Col. Day honored today by the Collings Foundation who will add the F-100 Super Sabre to their list of available aircraft. The Super Sabre was the first super sonic jet and was employed in the famous Misty fast forward air controller program. “Bury Us Upside Down” is the riveting desription of the Misty (actually named after the song) FAC’s and their harrowing missions . No word if you can fly the F-100 yet but I expect it might eventually be possible along with the the F-4 Phantom II and, A-4 Skyhawk planes which I mentioned last month. If you’re going to fly cross-country in a light airplane, it helps to have a mission. Not that you need one. This was better than the $100 hamburger (which, thanks to the cost of Avgas no longer exists). My brother and I flew to the National Museum of the U.S. Air Force. It is, without question, one of the two absolute best places on this earth to see static displays of aircraft. (Smithsonian / Udvar Hazy is the other) . Now you can see the whole thing without flying or driving. All 92 high-definition panoramic ‘nodes’ are now online,” said Lt. Gen. (Ret) John L. Hudson, museum director. “With all the photos uploaded, visitors can now better experience the museum while at home or on the go. Take a tour of the place via map or by following the green arrows. Zoom in. Look up. “Walk” around. After spending time on the site, you’ll most definitely want to drive (or fly) to see it all in person. Anyone that loves planes will love this. Last month, I visited with a gentleman who had a model of an F-104 Starfighter on his desk. Nearby was a portrait of him next to the “manned missile”. He explained that while he didn’t have a pilot’s license, he actually went through two days of training and later flew in the aircraft. I didn’t know any were still airworthy, much less the thought of getting a hop in one. This was a piece of history, one of Kelly Johnson’s (Skunkworks!) more famous efforts. It’s fast , has a terrific rate of climb but wasn’t much of a dog fighter. 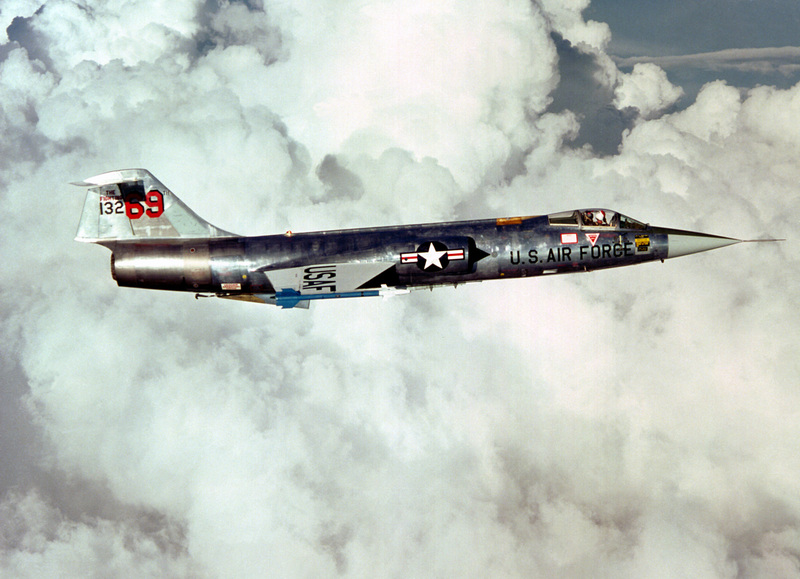 The F-104 was intended to deliver nuclear ordnance and bug out at mach 2 during the cold war era. It also saw limited service in Vietnam. So how do you get to strap into the rear seat in one of these? Through Incredible Adventures whose motto is: “All you need is the dream, We take care of the rest”. More accurately all you need is a dream and $30,000. We’ll introduce you to the stomach-crunching g-forces of a high-speed vertical climb and the incredible sensations of freefall and weightlessness sure to be part of future civilian space flights. We’ll top that off with a rapid descent and shuttle-style landing on one of the world’s longest runways. That means a take off and landing from the Kennedy Space Center which would be pretty amazing. So it ain’t cheap, but for most pilots (and non pilots), it would be the flight of a lifetime. Not to be outdone, the Collings Foundation received an FAA flight exemption that allows them to offer the “Vietnam Memorial Flight Program” to both pilots and non-pilots. (Featured at Airventure this year). The F-4 and A-4 Flight Programs take place at their Houston, Texas campus. 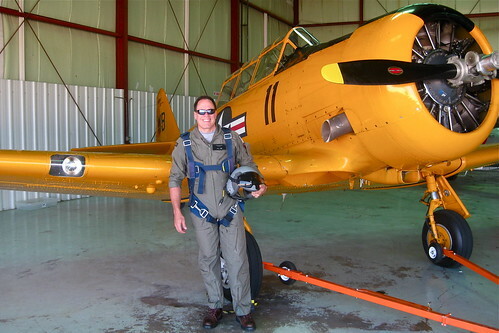 Each participant will take part in academic sessions on board the aircraft, including safety procedures, ejection seat training and cockpit orientation, before putting on a fight-suit and manning the cat bird seat. While the Starfighter has one J-79 engine, the Phantom has two, making it one of the most powerful civilian operated fighters in the world. 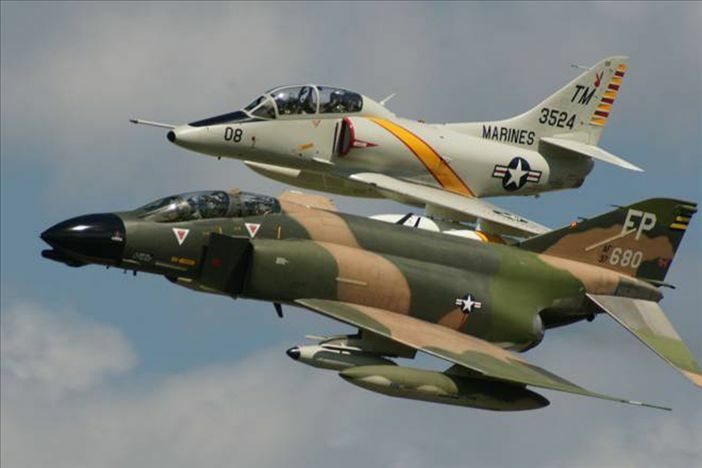 The F-4 Phantom program is $12,500, while the A-4 Skyhawk is $7,800. While a fraction of the Starfighter flight, the price tag is still pretty hefty. This would fund a year (or more) of bugsmashing for many GA types but there IS something special about warbirds. You’re flying a piece of history. The stick has the gun and / or bomb release switches. As you ready for take off, your eyes scan an analog cockpit with the wear and tear of countless missions. The harness is tight, seat is armed and the view out the canopy is nothing short of spectacular. Sit back, relax and enjoy pulling some G’s. The pilot in command is responsible to bring back the bird with all the parts attached and no one’s shooting at you. All it takes is airspeed…and lots of money. There were many great WWII aircraft. Mustang; Liberator; Thunderbolt to name a few. While I love the fighters, I have a special attraction to the B-25 Mitchell. Mostly due to The Doolittle Raid. Courageous men that created an important turning point in the war with a one way trip to destiny. Doolittle thought the raid had been a failure, that he would be court-martialed, but not so. It caused the Japanese to recall experienced fighter squadrons to defend the home islands, and resulted in Japan ‘s weakened air capabilities at the upcoming Battle of Midway. A B-25J arrived at our EAA chapter fly in, the one with the eight 50 caliber machine guns in the nose. It just looked lethal sitting in front of our dinner table and I could imagine screaming down the chute in the left seat, strafing enemy trains. I thought of the brave men who learned to fly bombers off carriers into an incredibly hazardous journey with low odds of returning. B-25J ‘Pacific Princess’ and crew participates in the largest gathering of B-25’s since WWII for the 68th Doolittle Raiders Reunion held April 17th & 18th, 2010 at USAF Museum, Wright Field Dayton OH. 17 B-25’s formed up for a the Doolittle Memorial ceremony. 8 Doolittle Raiders of the original 79 remain, 4 were able to attend the 2010 event. Not many remain. If you have spare time, read a first hand account of what it was like to be there.